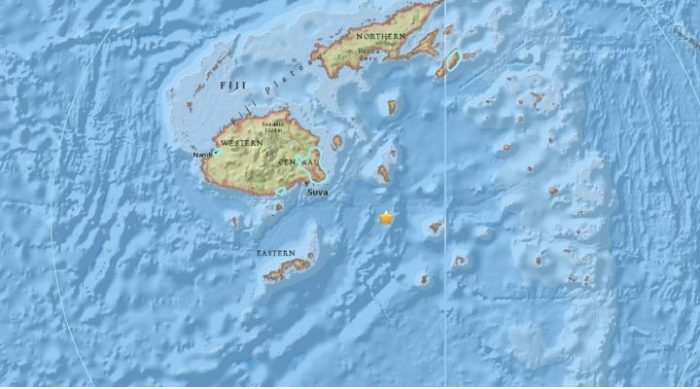 USGS reported a 7.8 quake off the coast of Fiji. This is one of the rare extremely deep earthquakes, it occurred at a depth of 608km! A magnitude 7.8 earthquake hit 105 km east-southeast of Suva, Fiji, at a depth of 608 km, the U.S. Geological Survey said on Thursday.